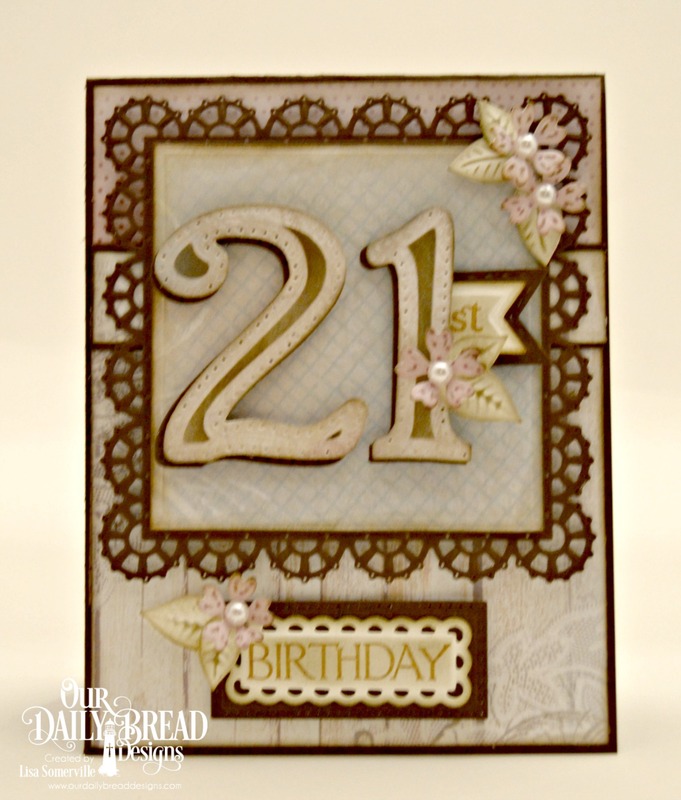 Designs by Lisa Somerville: Time to Celebrate! Thanks for stopping by! Today, members of the ODBD Design Team are sharing new inspiration with the products from the 2017 Anniversary Release. Today I'm sharing a 21st Birthday card using the Celebration stamp set and Large Numbers die set from the Anniversary Release along with additional ODBD products. For a complete supply list, please see the details below. Love the card..........save it for me when I turn 21 again! lol...those numbers are great! What a great design!! Love your card and all the details!